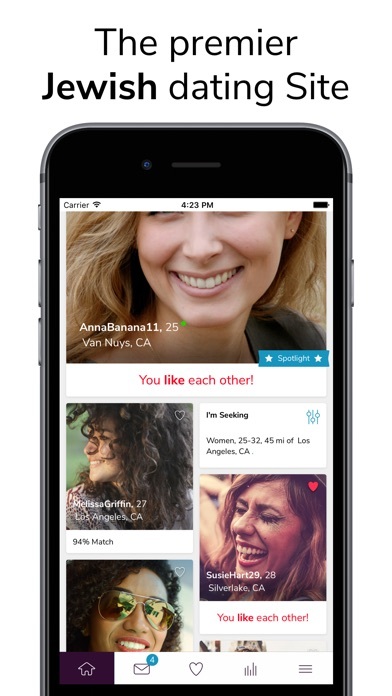 Home » Social Networking » Jdate - Jewish Dating App! Worst app. Every time u log in u have to go thru fbook it’s really really terrible. DONT WASTE YOUR MONEY! I can’t stand using it. This dating site is garbage. There is almost nobody on here and no new people ever. There are technical glitches almost everytime I log in, like my messages completely disappearing. Don’t waste your money on this app. There are much better ones out there! Do not waste your time/money/energy. It’s so buggy! This application is dated. It’s not user friendly. There are like maybe 20 people in the LA area on this app, all of which the profiles are recycled constantly. example, I swiped left (not matching or interested) on those 20 profiles that I wasn’t interested in... the app refreshed the same 20 people in a loop. I paid $60 thinking I’d get a higher quality app, but obviously wrong. It takes days for them to approve your profile which eats into your subscription time. When you report bugs the call center seems to be aware but doesn’t have any plans to address. I think backend is designed to loop candidates rather have the app confirm they don’t have many people on the site. When discussing cost and return on value the default statement is you have to talk to Apple. Which is a great way to avoid giving you a refund. מאוד מאוכזבת מהאתר ומהאפליקציה. האתר היה מאוד ידידותי בעבר וגם שרות לקוחות זמין וקשוב, היום אין עם מי לדבר וחבל מאוד שהאתר ירד מגדולתו. יש הרבה הרבה מקום לשיפור!!!!! חודשים אחרי כתבתי את הרביו שולחים חוזרים אלי מהאתר ומציעים לי לתקשר עם שרות הלקוחות שלהם כדי להיעזר בהם להתמצאות באתר!!!!! נו באמת???? זה מה שיש לכם להציע? ?אין לכם שרות לקוחות!!! שכחתם!!! זאת בדיוק הבעיה שלכם שאין עם מי לדבר!!! מאוד מאוכזבת!!!!!! Every time you make changes to the site and app, instead of making the site better you make it worse. The site has now lost all its best features like chat rooms and message boards, accurate sorting by who is online or distance, and is full of more fake profiles, scammers, and dormant and closed profiles then it ever was before. 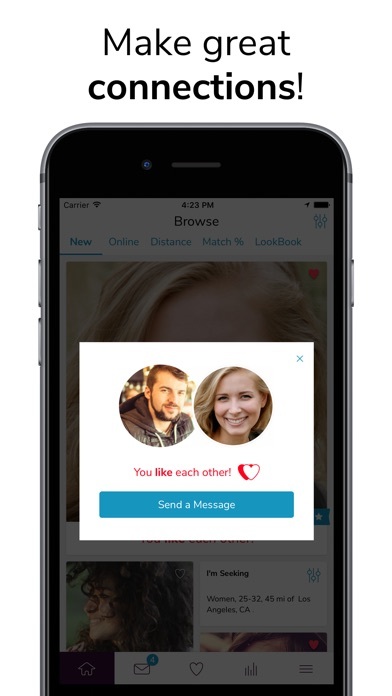 In addition, there are still issues like when you send a flirt it will show up in the mail as the other person sent you a flirt or the same people showing up in your search results regardless of your search criteria. Also, if a paid member contacts a non paying member, the non paying member should have the ability to have unlimited communication with the originating paid member. Perhaps you should also note the person’s membership status and level on the profile. Most importantly, the ability to delete mail and messages instead of archiving them would be nice. Lastly, bring back phone based tech support until 11pm or midnight EST/EDT. Also bring back intelligent people and away to speak to Customer service representative with a technical and programming background. Being told the site is working fine for them while they’re on a PC doesn’t help your customers who use Macs and Apple products. There is a serious programming issue with the code because your site is not Apple friendly. Probably the worst dating site out there. 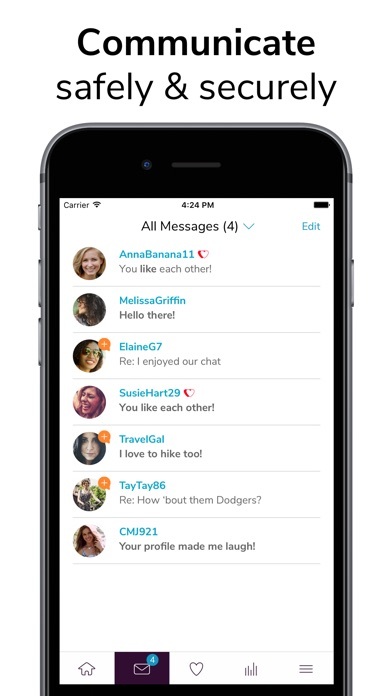 You meet more Jewish girls on Bumble than here. Extremely disappointing, limited matches, not user friendly, way too expensive. 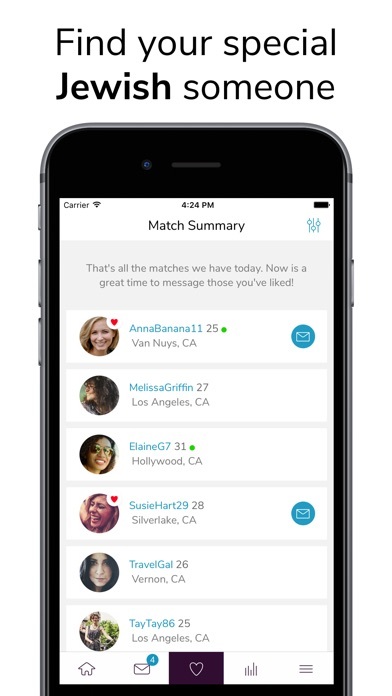 I have had this app a month and my matches have not shown me a single new person within 50 miles and my 10 year age range. Do not waste your time.